More than 70 percent of American youth were exposed to e-cigarette ads in 2014, according to a report released Tuesday by the Centers for Disease Control and Prevention. While e-cigarettes can contain nicotine, which causes addiction and can affect adolescent brain development, the product doesn’t face the same advertising restrictions as regular cigarettes. 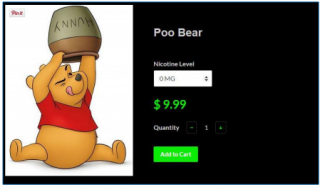 As a result, e-cigarette companies have been free to aggressively market their harmful product to children without consequences. According to the 2014 National Youth Tobacco Survey, over 18 million middle school and high school students reported seeing e-cigarette ads. The majority of youth were exposed to these ads in retail stores, followed by the Internet, movies, television, newspapers and magazines. The CDC report also found that an increase of e-cigarette ads could be linked to an increase in youth e-cigarette use. E-cigarette companies have aggressively amped up their advertising efforts, with advertising spending going from $6.4 million in 2011 to $115 million in 2015. At the same time, e-cigarette use among middle school and high school students have increased from 1 percent to 4 percent and from 2 percent to 13 percent respectively. It is high time to stand up against retailers who market e-cigarettes to children. To learn about what can be done, visit the CDC’s Vital Signs report for recommendations on what the federal government, states, health care providers, and parents can do to keep these dangerous products out of the hands of young people. Thankfully, several Members of Congress have introduced legislation to protect children from e-cigarettes. Congresswoman Elizabeth Esty (D-CT) and Senator Barbara Boxer (D-CA)joined together to introduce the introduced the (H.R. 478/ S. 430) to impose the same restrictions on advertising conventional cigarettes to children on similarly harmful e-cigarettes. And learn more about how the Stop Selling and Marketing to Our Kids E-Cigarettes (SMOKE) Act, introduced by Rep. Jackie Speier (D-CA), could limit marketing and help keep youth tobacco-free.